All ages. Valid 21+ ID to consume alcohol. All bags will be checked. 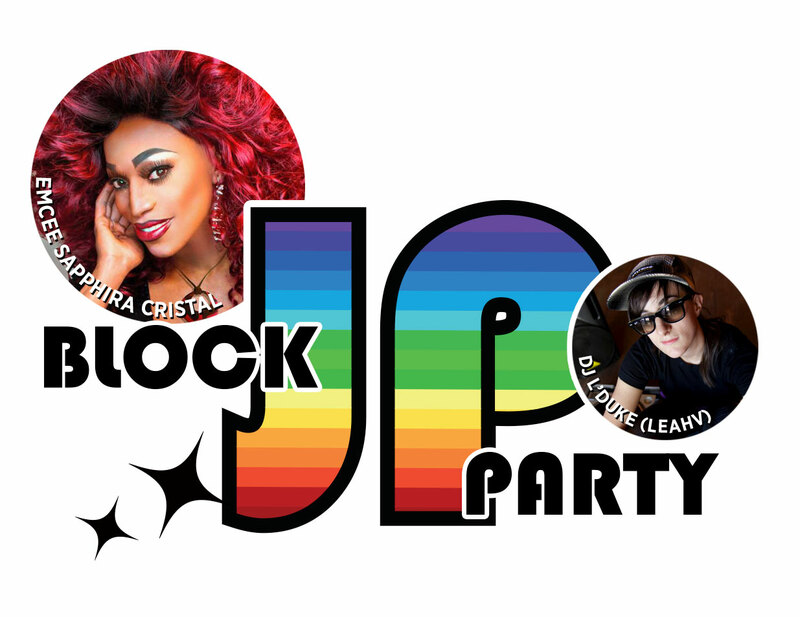 Boston Pride and Kristen Porter Presents (Dyke Night® & The List: Boston’s Queer Agenda) bring you the 2019 JP Block party. What can you expect? Over 2,000 womxn (Boston’s largest intersectional womxn’s block party! ), queer, trans and non-binary folk, families and friends of all ages take over Perkins Street for a fun filled outdoor party with several cash bars and food truck. NEW this year: we are opening early to provide an hour of reduced admission. The Kids Zone (1 pm – 6 pm) features face painting, games, dress up selfie station, and NEW this year -Drag Storytime (2:30 pm). Kristen Porter’s beloved 8th Annual Divas, Dogs & Drag King Show (3 pm), the largest drag king show in New England, features available-for-adoption rescue dogs showcased by advanced graduates of the King for a Day Drag King course. We welcome back emcee Sapphira Cristal and closing performer the one-and-only Lakia Mondale. Check out our (Facebook coming soon) for photos/bios on drag performers in the show and the dogs who will be showcased. After the show, the street morphs into one giant dance floor with DJ L’Duke (LeahV) until 8 pm. Her signature open format mixing and seamless genre-blending sets have won her the Boston Music Awards “DJ Artist of the Year” and Improper Bostonian’s “Boston’s Best DJ.” Special guests New Fame (6 pm), a female hip-hop/soul duo, based in Vietnam.